National Council of Churches in India: An Easter Reflection from Rev. Dr. Roger Gaikwad, General Secretary of NCCI. Belief in Resurrection: Not something Revolutionary! 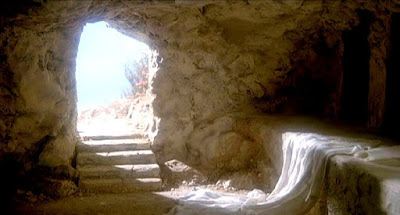 Not only did people believe in life beyond the grave, but many of them also believed in the resurrection of the dead. The Jews found mention of it in their scriptures. Isaiah 26:19 gave the assurance: “Your dead shall live, their corpses shall rise. O dwellers in the dust, awake and sing for joy! For your dew is a radiant dew, and the earth will give birth to those long dead.” However the implication was that resurrection was more like restoration of life. Furthermore this resurrection experience was promised only to those who had been faithful to God. Another scriptural reference to resurrection is found in Daniel 12:1-3 where it is prophesied, “At that time Michael, the great prince, the protector of your people, shall arise. There shall be a time of anguish, such as has never occurred since the nations first came into existence. But at that time your people shall be delivered, everyone who is found written in the book. Many of those who sleep in the dust of the earth shall awake, some to everlasting life, and some to shame and everlasting contempt. Those who are wise shall shine like the brightness of the sky, and those who lead many to righteousness, like the stars forever and ever.” In this passage a larger group experiences resurrection, of which some would be rewarded with eternal life while others would be subject to everlasting contempt. The Uniqueness of Jesus’ Resurrection: Transformation of the Present! In fact during the time of Jesus, the Pharisees, who belonged to the religious leadership of the day, believed in the resurrection of the dead. So, as far as the belief in the resurrection was concerned, the Pharisees would have had no problems with Jesus. Yet they opposed Jesus! They were upset with Jesus’ resurrection along with the rest of the leaders who were hostile to Jesus. The reason is that Jesus’ resurrection made a big difference not with regard to life after death but to their present earthly existence and endeavours. If the enemies of Jesus thought that with the death of Jesus they had finished the work of Jesus, they were proved wrong. Jesus came back from death and continued to strengthen and guide the disciples for 40 days (Acts 1:3) focusing their life and work on the kingdom of God. A life-threatening reality was transformed into a life–affirming situation! The Message of Easter: Nothing can stop God’s Mission through Jesus! The work which Jesus had emphasized at the beginning of his public ministry, “The Kingdom of God is at hand; repent and believe in the gospel” (Mark1:18), was further reinforced on earth with his resurrection! The disciples to whom Jesus had entrusted the ministry of God’s kingdom on earth continued to receive instruction, commissioning and empowerment from the resurrected Jesus. Luke 24: 45-49 records, “Then he [the resurrected Jesus] opened their minds to understand the scriptures, and he said to them, “Thus it is written, that the Messiah is to suffer and to rise from the dead on the third day, and that repentance and forgiveness of sins is to be proclaimed in his name to all nations, beginning from Jerusalem. You are witnesses of these things. And see I am sending upon you what my Father has promised; so stay here in the city until you have been clothed with power from on high.” The experience of the resurrection was not to be hoped for at the end times; the resurrection had become a reality in their present life and work itself. The resurrection was not to be a vindication of the life and work of Jesus in the eschatological end; the resurrection had to ensure that God’s mission of the kingdom coming on earth would go on! That very ministry which had become a life-threatening reality to the disciples with the death of Jesus, that very ministry which had struck fear in their hearts with the crucifixion of Jesus, had now become a life-affirming situation! The disciples experienced the presence of the risen Jesus in their lives; they experienced the empowering of the Holy Spirit which made them bold to face persecution and death for the sake of the gospel. The religionists killed the body of Jesus only to release the spirit of Jesus all over the world! The opponents thought that they had finished the person and work of Jesus only to realize that the personal influence of Jesus was opening up the cloistered disciples to courageously carry on the work of the reign of God. The Sanhedrin which had tried Jesus was soon to call up Peter and John in front of them (Acts 4:13-22). The Sanhedrin which had condemned Jesus to humiliation, torture and death, and of which Peter had been mortally afraid of at the time of the trial of Jesus, had now hauled up Peter and John. They threatened them with dire consequences if they continued to speak and teach at all in the name of Jesus. In response Peter and John boldly declared, “Whether it is right in God’s sight to listen to you rather than to God, you must judge; for we cannot keep from speaking about what we have seen and heard.” A life-threatening reality had now become a life-affirming situation. Death had lost its fearsome painful sting! The resurrection of Jesus was not simply a matter of Jesus coming back to life. It was not merely a matter of an individual’s life being glorified. Rather the resurrection of Jesus articulated the importance of God’s involvement in communities of human beings, of God’s participation in history, and of God empowering movements towards the fulfillment of God’s reign on earth. Yes, all those “who received him [Jesus Christ], who believed in his name, he gave power to become children of God.” (John1:12) In this life itself the disciples of Christ were to be transformed into a new creation; they were to become the ambassadors of Christ, continuing God’s work of reconciling and renewing the whole creation (cf. 1 Cor. 5:17-20). The early Christians, who were rejuvenated by the resurrected Jesus, started turning the world upside down (Acts 17:6). The good news was embraced by slaves, by women, by “Gentiles”, by socially condemned sinners, by people burdened by the laws and rituals of religion, by people who were yearning for God’s reign on earth. It became a life-transforming social movement! What have we made of Easter? Why are we not turning the world upside down? Why is the church weak in its impact on society? The reason is that we have converted the resurrection of Jesus into a private experience and individual hope of life after death. We have reduced the crucifixion-resurrection movement to an institutional religion with its rituals and doctrines. At Easter God reminds us that the resurrection of Jesus stands for the transformation of life-threatening realities into life affirming situations in this life itself! But instead he gave me an ugly cactus with many thorns! But instead he gave me many ugly and dreadful worms! I saw the cactus bloomed with many beautiful flowers! And those worms became beautiful butterflies flying in the wind! Transforming Life-Threatening Realities into Life-Affirming Situations on Earth!